1. Cassidy J., Petty R. Texbook of paediatric rheumatology, 6th еd. Philadelphia: Saunders Elsevier. 2010. 9 p.
2. Alekseeva E. I., Litvitskii P. F. Revmatoidnyi artrit. Etiologiya, patogenez. Klinika. Algoritmy diagnostiki i lecheniya [Rheumatoid Arthritis. Etiology and Pathogenesis. Clinical Pictire. Scheme of Diagnosis and Treatment]. Moscow, Vedi, 2007. 359 p.
3. Denisova R. V., Alekseeva E. I., Al'bitskii V.Yu., Vinyarskaya I. V., Valieva S. Voprosi sovremennoi pediatrii — Current Pediatrics. 2009; 8 (3): 18–26. 4. 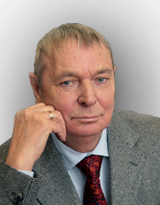 Baranov A. A., Nasonov E. L., Alekseeva E. I., Erdes Sh. F., Il'in A. G. Voprosi sovremennoi pediatrii — Current Pediatrics. 2007; 6 (1): 6–8. 5. Kroot E. J. A., van Leeuwen M. A., van Rijswijk M. H. et al. No increased mortality in patient with rheumatoid arthritis: up to 10 years of follow-up from disease onset. Ann. Rheum. Dis. 2000; 59: 954–958. 6. Klinicheskie rekomendatsii. Revmatologiya. Pod red. E. L. Nasonova [Clinical Recommendations. Rheumatology. Edited by E. L. Nasonov]. Moscow, GEOTAR-Media, 2005. pp. 25–71, 120–140. 7. Beukelman T., Patkar N. M., Saag K. G., Tolleson-Rinehart S., Cron R. Q., Morgan Dewitt E., Ilowite N. T., Kimura Y., Laxer R. M., Lovell D. J., Martini A., Rabinovich C. E., Ruperto N. 2011 American College of Rheumatology Recommendations for the Treatment of Juvenile Idiopathic Arthritis: Initiation and Safety Monitoring of Therapeutic Agents for the Treatment of Arthritis and Systemic Features. Arthr. Care Res. 2011; 63 (4): 465–482. 8. Fleischmann R. Safety and efficacy of disease-modifying antirheumatic agents in rheumatoid arthritis and juvenile rheumatoid arthritis. Exp. Opin. Drug. Saf. 2003; 2 (4): 347–365. 9. Baranov A. A., Alekseeva E. I., Bzarova T. M., Valieva S. I., Denisova R. V., Isaeva K. B., Karagulyan N. A., Litvitskii P. F., Mitenko E. V., Sleptsova T. V., Fetisova A. N., Chistyakova E. G., Taibulatov N. I., Morev S.Yu. Voprosi sovremennoi pediatrii — Current Pediatrics. 2013; 12 (1): 37–56. 10. Hashkes P. J., Laxer R. M. Medical treatment of juvenile idiopathic arthritis. JAMA. 2005; 294 (13): 1671–1684. 11. Nasonov E. L. Protivovospalitel'naya terapiya revmaticheskikh boleznei [Preventive Therapy of Rheumatic Diseases]. Moscow, M-Siti, 1996. 345 p.
12. Tynjala P., Vahasalo P., Tarkiainen M., Kroger L., Aalto K., Malin M., Putto-Laurila A., Honkanen V., Lahdenne P. Aggressive combination drug therapy in very early polyarticular juvenile idiopathic arthritis (ACUTE-JIA): a multicentre randomised open-label clinical trial. Ann. Rheum. Dis. 2011; 70. 13. Visvanathan S., Wagner C., Marini J. C., Lovel D. J., Martini A., Petty R., Cuttica R., Woo P., Espada G., Gattorno M., Apaz M. T., Baildam E., Fasth A., Gerloni V., Lahdenne P., Quartier P., Saurenmann R., Travers S., Mendelsohn A., Xu S., Giannini E. H., Ruperto N. for the Paediatric Rheumatology International Trials Organization (PRINTO) and the Pediatric Rheumatology Collaborative Study Group (PRCSG). The effect of infliximab plus methotrexate on the modulation of inflammatory disease markers in juvenile idiopathic arthritis: analyses from a randomized, placebo-controlled trial. Pediatr. Rheumatol. 2010; 8: 24. 14. Alarcon G. S. Methotrexate: Its use for the treatment of rheumatoid arthritis and other rheumatic disorders. In: Arthritis and Allied Conditions. A Text book of rheumatology, 13th Edn. W. J. Koopman (еd.). Baltimore, Philadelphia, London: Williams & Wilkins. 1997; 1: 679–698. 15. Cronstein B. N. The mechanism of action of methotrexate. Rheum. Dis. Clin. North Am. 1997; 23: 739–755. 16. Tambic-Bukovac L., Malcic I., Prohic A. Personal experience with methotrexate in the treatment of idiopathic juvenile arthritis. Rheumatism. 2002; 49 (1): 20–24. 17. Cassidy J. T. Outcomes research in the therapeutic use of methotrexate in children with chronic peripheral arthritis. J. Pediatr. 1998; 133: 179–180. 18. Klein A., Kaul I., Foeldvari I., Ganser G., Urban A., Horneff G. Efficacy and safety of oral and parenteral methotrexate therapy in children with juvenile idiopathic arthritis: an observational study with patients from the German Methotrexate Registry. Arthr. Care Res. (Hoboken). 2012; 64 (9): 1349–1356. 19. Ramanan A. V., Whitworth P., Baildam E. M. Use of methotrexate in juvenile idiopathic arthritis. Arch. Dis. Child. 2003; 88: 197–200. 20. Yokota S. Classification and treatment strategy for juvenile idiopathic arthritis. Therapy. 1999; 81: 766–772. 21. Giannini E. H., Brewer E. J., Kuzmina N. et al. Methotrexate in resistant juvenile rheumatoid arthritis. Results of the USA-USSR double-blind, placebo-controlled trial. The Pediatric RheumatologyCollaborative Study Group and The Cooperative Children’s Study Group. N. Engl. J. Med. 1992; 326: 1043–1049. 22. Woo P., Southwood T. R., Prieur A. M. et al. Randomized, placebocontrolled, crossover trial of low-dose oral methotrexate in children with extended oligoarticular or systemic arthritis. Arthr. Rheum. 2000; 43 (8): 1849–1857. 23. Silverman E., Mouy R., Spiegel L. et al. Leflunomide or methotrexate for juvenile rheumatoid arthritis. N. Engl. J. Med. 2005; 352: 1655–1666. 24. Albertioni F., Flato B., Seideman P. et al. Methotrexate in juvenile rheumatoid arthritis. Evidence of age dependent pharmacokinetics. Eur. J. Clin. Pharmacol. 1995, 47 (6): 507–511. 25. Tukova J., Chladek J., Nemcova D. et al. Methotrexate bioavaila bility after oral and subcutaneous administration in children with juvenile idiopathic arthritis. Clin. Exp. Rheumatol. 2009; 27 (6): 1047–1053. 26. Ruperto N., Murray K. J., Gerloni V. et al. A randomized trial of parenteral methotrexate comparing an intermediate dose with a higher dose in children with juvenile idiopathic arthritis who failed to respond to standard doses of methotrexate. Arthritis Rheum. 2004; 50: 2191–2201. 27. Alsufyani K., Ortiz-Alvarez O., Cabral D. A. et al. The role of subcutaneous administration of methotrexate in children with juvenile idiopathic arthritis who have failed oral methotrexate. J. Rheumatol. 2004; 31 (1): 179–182. 28. Kugathasan S., Newman A. J., Dahms B. B. et al. Liver biopsy findings liver in patients with juvenile rheumatoid arthritis receiving longterm, weekly methotrexate therapy. J. Pediatr. 1996; 128 (1): 149– 151. 29. Cron R. Q., Sherry D. D., Wallace C. A. Methotrexate-induced hypersensitivity pneumonitis in a child with juvenile rheumatoid arthritis. J. Pediatr. 1998; 132 (5): 901–902.